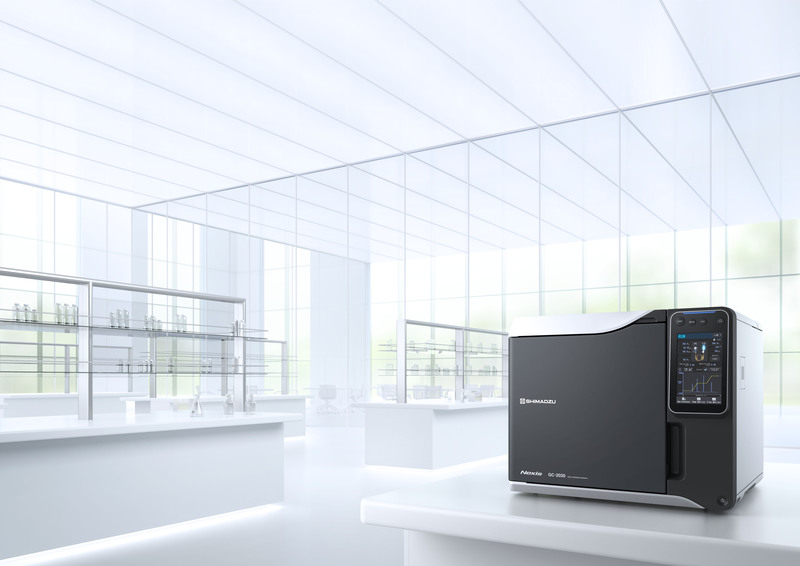 Shimadzu, one of the world leaders in analytical instrumentation, has released a new top-of-the-line gas chromatograph (GC). The Nexis GC-2030 is based on the concept of superior usability and expandability for a wide variety of analytical applications. For these purposes, the Nexis GC-2030 can be equipped with any of a family of high-sensitivity detectors, such as the unique barrier discharge ionization detector (BID) or a flame ionization detector (FID) which offers the world's highest sensitivity < 1.2 pg C/s related to Dodecane. All detectors are ultra-fast responding with a sampling frequency of up to 500 Hz in combination with a selectable filter time constant down to 2ms. The Nexis GC-2030 provides the world's best reproducibility and outstanding analysis productivity. The new LabSolutions software ensures compliance with FDA 21 CFR Part 11 and provides powerful support for the laboratory management workflow. With its full-color LCD touch panel, the Nexis GC-2030 can be operated intuitively. Gas chromatographs are used for R&D and quality control in a wide range of fields. With a growing concern about safety and minimizing any impact on both humans and the environment in recent years, there is an increasing demand for analyzing trace impurities in raw materials and analyzing the gases emitted from products. This requires analytical instruments able to output reliable results regardless of the skill level of the operator. Therefore, the Nexis GC-2030 was designed to offer the high sensitivity analytical capability and high expandability demanded by the market, while also featuring functionality that enables almost anyone to easily operate and maintain the instrument intuitively. Thus, it meets a variety of laboratory needs. Equipped with a full color LCD touch panel, the Nexis GC-2030 can be operated intuitively by simply touching the clearly organized and easy-to-understand interface. It also allows users to configure various parameter settings, perform self-diagnostics, automatically check for carrier gas leaks, and display chromatograms via the interface on the main GC unit. A variety of innovations are included to minimize the time and effort required for maintenance. Equipped with a CPU, the advanced flow controller (AFC) enables ultra-high-speed and ultra-high-precision flow control that results in exceptional reproducibility. It supports a variety of control modes, such as carrier gas constant linear velocity control, constant flowrate control, and constant pressure control. Multi-step programs can be created for each control mode as well. Additional detectors can be installed via up to four ports, such as a flame ionization detector (FID) offering the world's highest sensitivity, or a dielectric barrier discharge detector identifying trace quantities of most components at sub-ppm levels. Specialized analyzers (GC systems) can be configured for specific needs by connecting flow lines to up to three ports, detectors to up to four ports, or up to eight valves to an optional valve box. Enhanced compatibility with Advanced Flow Technology (AFT), which enables backflushing, switching between detectors, detector splitting, and heart-cutting, helps improve productivity by reducing laboratory space requirements and increasing analysis speed. Compatibility with the carrier gas saver function and the sleep mode significantly reduces gas consumption and operating costs. The new LabSolutions software features a new graphical user interface that significantly improves usability. It allows the instrument status to be determined at a glance and the parameter settings window to be displayed with a single click. Also, various functionalities to ensure compliance with FDA 21 CFR Part 11 and data integrity provide powerful support for laboratory management workflow. Shimadzu has released the next-industry-standard Nexis GC-2030 gas chromatograph (GC). The Nexis GC-2030 is based on the concept of superior usability and expandability for a wide variety of analytical applications. For these purposes, the Nexis GC-2030 can be equipped with various high-sensitivity detectors. The Nexis GC-2030 provides the world's highest sensitivity and reproducibility and outstanding analysis productivity. The new LabSolutions software ensures compliance with FDA 21 CFR Part 11 and supports the laboratory management workflow. Due to a full-color LCD touch panel, the Nexis GC-2030 can be operated intuitively. Figure 1: The next-industry-standard Nexis GC-2030 gas chromatograph provides the world's highest sensitivity and reproducibility and outstanding analysis productivity.